In Fender Sonoran SCE acoustic electric guitar review, we are going to discuss a great musical instrument. It is one of the best guitars in its class and price range. Its characteristics make it a particularly great choice for beginning guitar players. For its great features, it has quite an affordable price, so you should definitely familiarize yourself with Sonoran SCE. 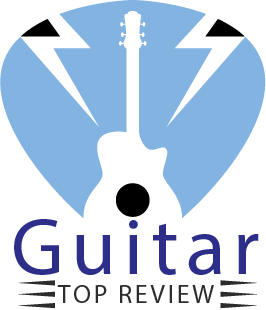 In this review, we will try to show why we think this guitar is worthy of purchase for most of the beginning guitar players. Without further ado, let’s start with the Fender Sonoran SCE acoustic electric guitar review! The Sonoran SCE acoustic-electric guitar’s body has a cut-out design for more comfort and exceptional appearance. 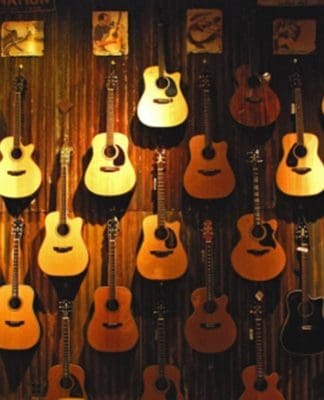 You could even say that is a way to distinguish between most of the regular acoustic guitars and acoustic-electric instruments. The cut-out is not only a design choice but contributes to the guitar’s characteristics as well. The body of this acoustic-electric guitar is built with a solid spruce top with laminated mahogany back and sides. Besides making the instrument’s appearance highly attractive, the materials of the body are the most important factors affecting the sounding of the instrument. The vintage C-shaped neck of the guitar is made of maple and carries the 20-fret rosewood fingerboard. The top of the guitar is braced with X-brace system to produce a stronger top and avoid damaging the instrument. Besides, the pickguard won’t allow your guitar pick to scratch the gorgeous body of the instrument. The high-quality materials attach unrepeatable feel of a top-class musical instrument and make it an excellent choice for any guitar player. We also have a detailed review on Ibanez Talman TCY10, which resembles with this product. The Sonoran SCE acoustic-electric guitar’s dual-action truss rod comes pre-adjusted and doesn’t need any additional regulations to make its sounding correct. The guitar’s premium-quality materials make it pleasant to touch, so you will wish to play on it more and more. The excellent weight-to-strength ratio of the solid spruce top and the laminated mahogany back make the guitar strong and durable yet lightweight, so you won’t have to think about taking breaks as often. Besides the great weight characteristics of the guitar, the cut-out body makes it easier for guitar players to access the last frets of the fingerboard. If you’re playing style or/and compositions require frequent use of those frets, cut-out guitars surely will make your performance and practice easier and better. All of the aforementioned features make the guitar easy-to-play both standing and sitting. The guitar has a built-in preamp and tuner, so you won’t have to reach too far to readjust them. Laminated mahogany makes the sounding of the guitar warmer and brighter and provides more middle-spectrum tones. On the other hand, the solid spruce top attaches more resonance to its sounding. The materials of the guitar’s body don’t let it overload during plays of any intensity. Besides, the spruce top will mature, making its sound characteristics even better. The cut-out body slightly reduces the bass profile of the guitar’s sounding, so if you want a little less bass from your instrument, this guitar will fit you greatly. You could say that the cut-out makes the guitar’s sound more balanced. The compensated bone saddle of the guitar will provide you with correct string setup right out of the box. The guitar features the Fishman Isys III System with built-in active preamp and tuner, so you won’t need to bother with getting full-sized ones at least initially. If you are a beginner or simply don’t need advanced features of separate preamps, the built-in equipment of the guitar will be more than enough for you. Another great thing about the onboard preamp is that you won’t have to dedicate any additional area for the storage of the guitar. Laminated mahogany body and solid spruce top for great sound characteristics and sturdiness of the guitar. C-shaped maple neck with rosewood 20-fret fingerboard. Scalloped X bracing for stronger guitar top. Cut-out for more balanced sounding and increased comfort on last frets. Great weight-to-strength ratio of the guitar makes it light but strong. On Amazon, the Sonoran SCE acoustic-electric guitar is only shipped within the US and to APO/FPO addresses. The onboard preamp might be insufficient for your needs. While the cut-out features a couple of upsides, its balanced sound with less bass might be not to your musical taste. What is the difference between laminated and regular wood in guitars? The main difference is that unlike regular wood, laminated wood does not mature, which keeps the sound of the guitar unchanged. Otherwise, those two types of wood are generally similar. Typically, cheaper guitars are built of laminated wood completely. Intermediate models have solid wood tops and laminated sides and backs. Only the most expensive models’ bodies are made of solid wood. I don’t really like the cut-out design of this body’s guitar. Is that really that necessary for me? You will find out that cut-out guitars are much more comfortable if you mostly use the last frets of the fingerboard. Besides added comfort, the cut-out somewhat softens and balances the guitar’s sounding. If neither of this features is to your taste, you won’t need the cut-out body that much. Of course, you can get it if you like the guitar’s appearance. As for the sound, you can partly negate the bass reduction through the guitar’s built-in preamp. What is the C-shaped neck of this guitar for? C-shaped profile of guitar necks is the most common modern neck profile. Its comfortable oval profile suits most of the people and playing styles. They are not as deep as most of U- and V-necks. V-pointed necks can be rounded and soft or pointed and hard. They are mostly featured by old-school guitars. V-necks are convenient for players hanging their thumb over the edge of the fingerboard. U-shaped necks are more rounded and have higher shoulders. They are great for players with large hands or those who like to put their thumb on the back or side of the neck. 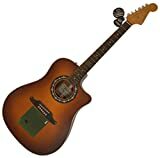 If you are looking for a guitar to start your professional activity or just have fun with, the Fender Sonoran SCE acoustic electric guitar is one of the best instruments out there you can get. With all the most necessary base features, it certainly will be able to give you an idea of guitar playing and performing in general. Then, if you feel the need to get something better, you can base your choice on the experience with this guitar. Or who knows, maybe it will be enough for you for the rest of your musical activity. 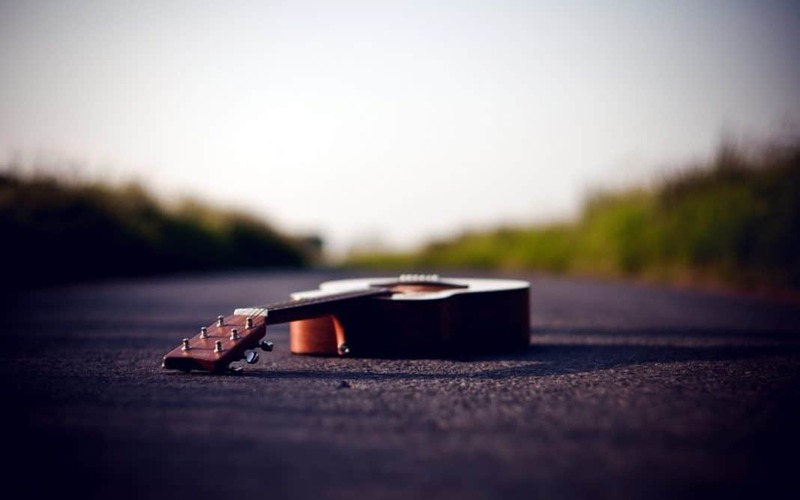 Remember, before making your final choice, conduct a thorough research, look into a number of guitars, try them out with different amps, and get the best instrument for you. We wish you to have a nice purchase! On this note, we are signing off from the Fender Sonoran SCE acoustic electric guitar review.